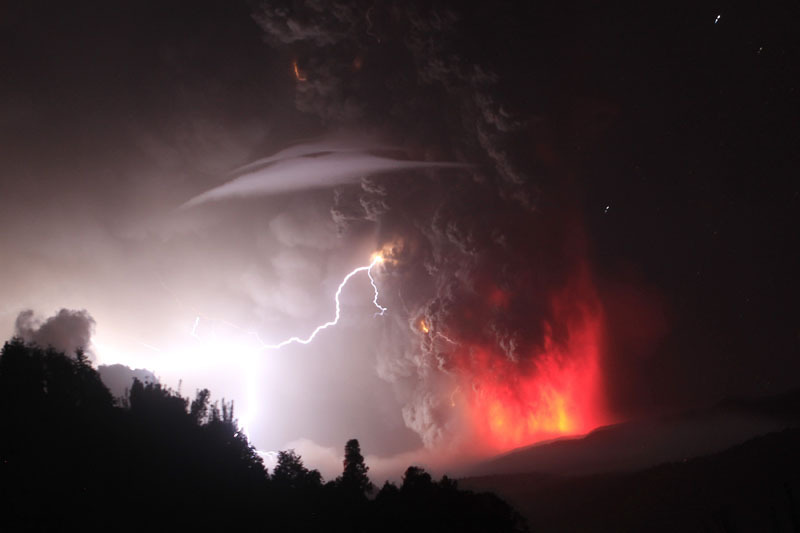 We hope nobody would say that a big "UFO" appeared when the Puyehue volcano erupted (taking into account the foolishness of some people). Lenticular cloud at one side of the column of smoke and ashes coming out from the volcano. Impressive photography!